RiceGum had his special guest, Savannah Palacio on his Fortnite Battle Royale stream. The conversation turned a little awkward as Savannah was asked what does she rate TSM Myth on looks. After she gives her answer, RiceGum’s follows up with a shocking response. RiceGum runs a popular YouTube channel that he updates quite frequently. He currently has close to 11 million subscribers, which by any means is an authoritative number and places him in the top percentile. When you have that many subscribers, frequent videos are needed to keep everyone in the loop. With that, RiceGum has come up with some of the most entertaining videos on YouTube. Related: RiceGum Shows Outfit on Fortnite Stream. Instagram Model Laughs. On top of his YouTube channel, RiceGum runs an equally popular Twitch channel where he streams Fortnite Battle Royale gameplay. He normally streams with an Instagram model by the name of Savannah Palacio; she sits next to him during the streams. RiceGum also invites instagram models via skype where he has deep conversations with them while playing Fortnite. During one of RiceGum’s recent Fortnite Battle Royale streams, he had Savannah Palacio by his side. Anytime she’s on his channel you know there will be some entertaining questions thrown out there, some serious, but often than not, silly questions. Well, one of those silly questions came up and it was about rating professional Fortnite players based on their looks. Quite a shallow question, but it’s all for kicks and giggles since this is the RiceGum show, and anything goes. Related: RiceGum Invites His Instagram Model Cousin. Asks Weird Question. 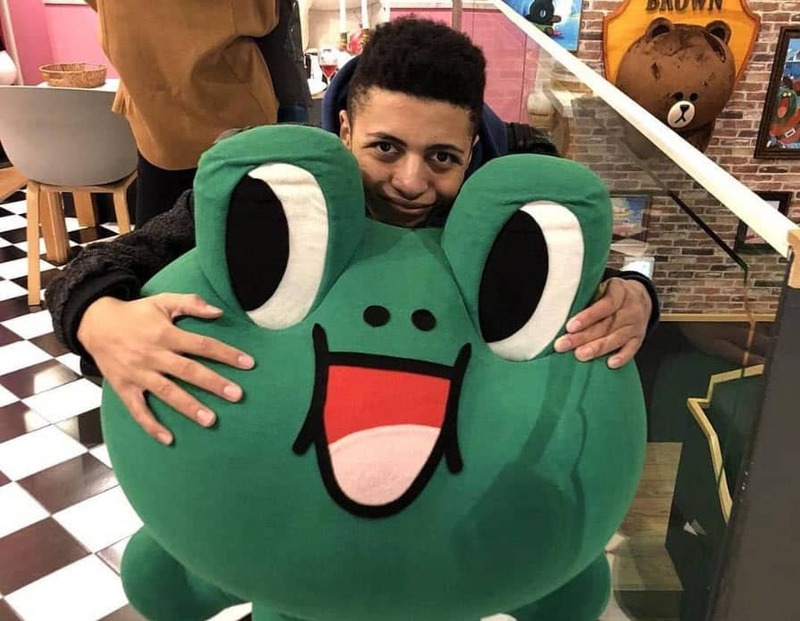 One of Fortnite’s competitive players is TSM Myth, who has his massive followers and subscribers on his Twitch and YouTube channels. 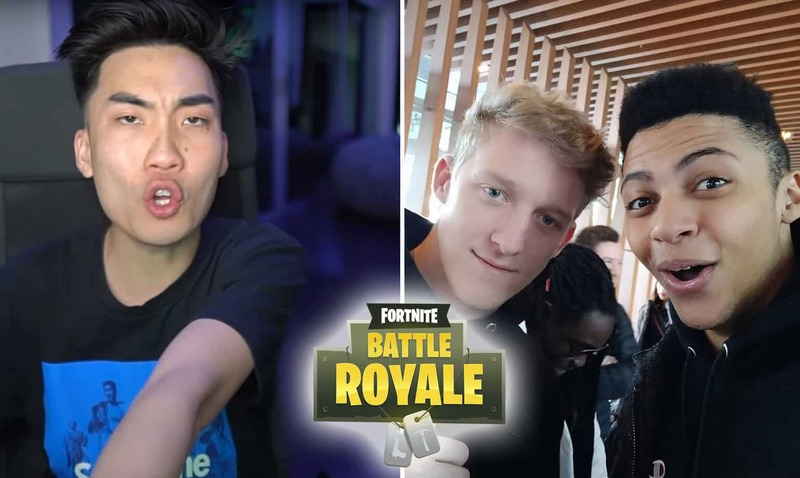 Being a top Fortnite player, RiceGum definitely knows TSM Myth and that’s when Myth came up in the conversation. Savannah Palacio starts off the convo by asking how tall is TSM Myth. RiceGum responds saying he thinks Myth is 6′ feet, but isn’t exactly sure. That’s when Savannah asked Rice to pull up some pictures of Myth on his screen so she can see how he looks like. RiceGum pulls up a picture and it seems that Savannah wasn’t impressed with the first picture. So RiceGum continues pulling up other pictures and then points out one with Myth sitting with a child. “Look, he got the kid” RiceGum says. After some thought Savannah Palacio says, “Ummmm…. I’d give him an 8“. That’s a pretty good number coming from an Instagram model. This left RiceGum perplexed as he was trying to remember what Palacio gave him on a rating of 1 to 10. After some jokes back and forth, RiceGum then says this. “I don’t rate guys, but like if I was a girl. Like, from a girls point of view, yea, yea I guess I’d smash him”. RiceGum was joking when he said that, laughing with Savannah afterwards and saying he’s just kidding. As mentioned, RiceGum’s streams can get quite wild, and the conversations are random that they can be quite funny at times.